Your liver is the largest internal organ in your body and plays an extremely vital role in your health and wellbeing. If your liver is not functioning properly then you will find that the rest of your body will be having some form of complications as well. As the liver affects so much of our health, the symptoms of liver ill-health can be very different. But, if you are experiencing constant headaches, sluggishness or generally feeling ill and out of sorts for no good reason, you will do well to consider your liver health. There is not really any downside to this; basically anything that can be done to improve the health of your liver will in turn improve your overall wellbeing. There are not many days that go by when we are not exposed to many different kinds of chemicals. These chemicals may not all be visible to the naked eye but most of them have a variety of adverse effects on our bodies. Sources of some of these invisible harmful chemicals we are exposed to daily can include shampoos, soaps, detergents, petrol and preservatives from foods. 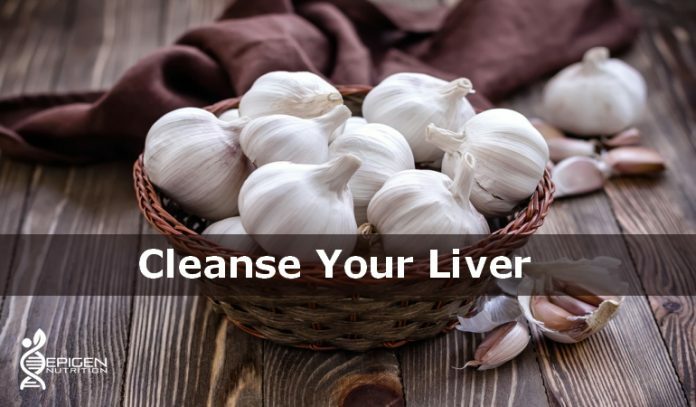 Our liver sometimes has to work overtime, in fact up to twenty four hours a day just cleansing and detoxifying our body from all these disease inducing toxins and chemicals. Now we know that it is important that our liver cleanses our body, why not help our liver with the detoxifying process using natural methods? Because it is certainly possible to undertake a ‘liver cleanse’. There are many different recipes that you could use, homemade and over the counter ones are readily available. Most of these can work really well, in fact so well that the immediate after effects can be a bit distressing to the body as a large amount of toxins are cleared out in one go. But instead of going for that high impact clear out approach, why not think about going for a bit of a lifestyle change that will slowly but surely improve your liver function, now and for many years to come. Not only will you be improving your overall health, but you will be taking a huge leap forward in the battle against anti aging. A healthier liver means less damaging toxins, which leads to increased vitality and longevity. The best ways to achieve this is to just include more healthy ‘liver-cleansing’ foods in your daily diet! Beets and beet juice have strong antioxidant properties. They also provide many micro-nutrients including pectin and betaine that provide detoxing support to the liver. Betaine also has protective effects that support the liver and bile ducts for improved function. Studies have provided evidence of the healing benefits of beets as it reduces homocysteine levels and lowers the risk of liver cancer. Broccoli is known to enhance the natural detoxification pathways of the liver with the help of its phytochemicals. This vegetable is an excellent source of sulforaphane, which is a substance that enhances the liver’s detoxifying effect. In simple terms, eating broccoli provides you with phytonutrients that are helpful for converting dangerous toxins that are present in the liver, into less toxic compounds that can be ushered safely out of your body. Garlic is one food that should always be on the shopping list! There are a multitude of studies that prove it is nature’s little miracle cleanser of a range of toxins and parasites. Garlic has been shown to help reduce high triglyceride levels, LDL (low density lipoprotein) levels and total cholesterol serum levels. This is good news to those who have been advised to go on a low-cholesterol diet. Garlic plays a role in reducing the amount of fats that accumulate inside their liver and lowering the risk of fatty liver disease. Garlic is also famous for its allicin content which can induce cell death in cancers. Researchers have shown that garlic can be used as a therapeutic agent for treating advanced diseases such as liver cancer. Lemons are not only good sources of vitamin C that help boost the immune system, but are an excellent blood purifier, which means it aids the liver in getting rid of toxins in the body. Lemons act as a tonic to the liver while stimulating its cleansing effects. Many believe that mixing warm water with lemon juice is helpful, as lemons are found to produce more enzymes when mixed with water than with any other foods. Lemons are also beneficial in stabilizing blood glucose levels. I hope you now realize why you should be eating these liver cleansing power foods. It is never too early to start, and there are tons of ways that you can include these into your daily diet. Previous articleCan Cutting Calories Help You to Live Longer?